Being counted amongst the leading organizations, we are involved in offering Ceramic Wall Tiles. These offered Ceramic Wall Tiles that we offer are made from best grade materials of ceramic. In addition, these Ceramic Wall Tiles are highly durable in nature and are extremely scratch resistant. 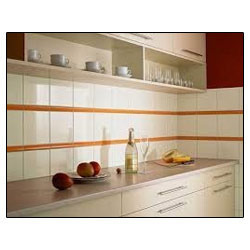 We are highly acknowledged organization engaged in presenting remarkable range of Ceramic Wall Tile.